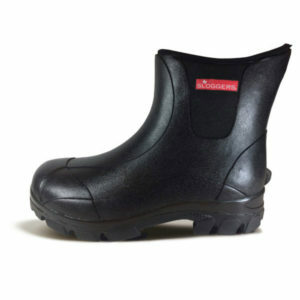 100% waterproof all-conditions boots. Great for farming, gardening, tending the horses or just taking the kids to football practice. Insulated Neoprene and rubber. Orthotic compatible. Lightweight and buoyant. Stretch-fit collar.